Celebrate your inner lioness with the Ariella collection by ChloBo, inspired by the joyous carnivals of Venice. Ariella, meaning lion of God, represents the strong woman in all of us. Take control of your own happiness and create a life you love. 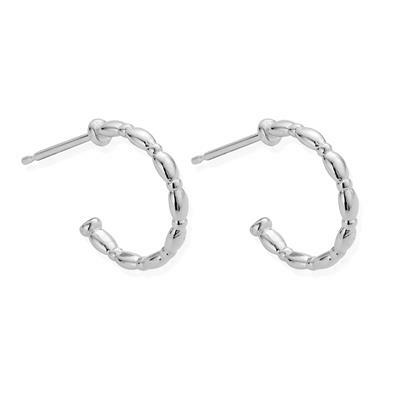 These stunning hoop earrings are made from sterling silver, and are inspired by the Doge's Palace in Venice.